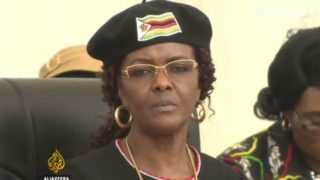 Zimbabwe's first lady Grace Mugabe returned home from South Africa early on Sunday (20 August), state media reported, pursued by demands she face prosecution over an alleged assault of a 20-year-old model in an upmarket Johannesburg hotel room. 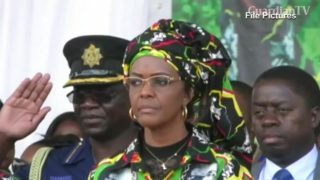 A South African government source says Grace Mugabe will be given diplomatic immunity, meaning she will avoid prosecution for an alleged assault on a 20-year-old model. The wife of Zimbabwe's elderly president says her husband could run 'as a corpse' in next year's election if he dies before the vote. 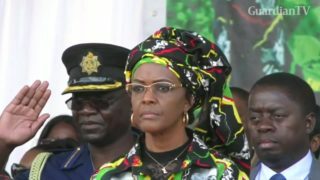 Grace Mugabe, while rallying supporters, also accused some in the ruling party of plotting to take power.